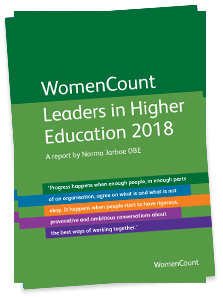 The Rt Hon Nicky Morgan, Education Secretary and Minister for Women and Equalities, launched WomenCount’s new report on women’s leadership in higher education on 2 March 2016 at Imperial College London. Imperial’s President, Professor Alice Gast, hosted the event and addressed guests from across the HE sector in the UK. WomenCount is a non-profit organisation benchmarking women’s leadership across charitable, academic and public bodies.